6:30-9:00pm Opening Reception - Hank Snow Country Music Center. Providing entertainment for all ages, NSMW will include two all-ages events at Liverpool Regional High School on Saturday, Nov. 10. Hip Hop: The Culture, will be an afternoon celebration of urban music featuring VA $ Heat, J. Wildd, Trobiz, J Bru, Jordan Croucher, Spesh K, Classified and The Lokdown Crew breakdancers. The Jimmy Swift Band will headline Mashup which includes performances by Faded Blue, Dammien Alexander and the Sonic Cinema and mashups with Trobiz, Ghetto Sox and Tacktision. Alongside the music awards show and industry awards brunch, NSMW 2007 will include an opening concert produced by the Liverpool host committee at the Astor Theatre featuring Matt Anderson on Thursday, Nov. 8. Gypsophilia, El Viento Flamenco and TFC live at the Astor Theatre; a new all ages urban music event Hip Hop, The Culture; an all-ages show: Mashup; the ever-popular Songwriters’ Circle; a free Drum Clinic featuring Bruce Aitken of the Cape Breton International Drum Festival and Roots/Songwriter, Jazz/Blues/Pop/World and Pop/Country/Celtic music showcases. Appearing on the Roots/Songwriter stage at The Mersey on Friday, Nov. 9 is Tanya Davis, Stephanie Hardy, Pamela Underwater and Chad Hatcher. The Jazz/Blues/Pop/World stage at Lane’s Privateer Inn will feature Catahoula Brown, Kate Quinn and The Sidelines, Troy MacGillivray and Flat Fifth. Anew Airship, Spesh K, Sheva and Faded Blue will perform on the Pop/Country/Celtic stage at The Golden Pond and Mike Trask and Mudhill, The Contact, Carmen Townsend and The Shakey Deals and Alert the Medic will play on the Rock/Urban stage at Marlins. On Saturday, Nov. 10, The Mersey will host Chrissy Crowley, Kev Corbett, RyLee Madison and Ruth Minnikin. Appearing at Lane’s Privateer Inn are The Whiskey Kisses, Lindsay Barr & The Bullies, Ryan McGrath & Harlow and The Superfantastics. Ian Sherwood, Ryan Cook, Steven Bowers and Brett Ryan will be at The Golden Pond and The Sleepless Nights, Rebekah Higgs, Air Traffic Control and the Tom Fun Orchestra will perform at Marlins. The Songwriters’ Circle has added Meaghan Smith and Brad Davidge the lineup for the performance that will take place at the Astor Theatre on Saturday, Nov 10. Smith and Davidge will be joined by host Lennie Gallant and singer-songwriters Rose Cousins, Catherine MacLellan, David Myles and Thom Swift. The weekend comes to a close on Sunday night with actor-musician Jeremiah Sparks hosting the 11th annual Nova Scotia Music Awards Show at the Astor Theatre. Performances will include Drum!, Jill Barber, Jordan Croucher with Classified, the Jimmy Swift Band, In-Flight Safety, Amelia Curran, Scott Macmillan, Brian Doyle and Leanne Aucoin in a lively Celtic number and Chris Mitchell and friends in a tribute to Doug Riley. All tickets and passes are available at the Astor Theatre box office, by phone (902) 354-5250 and online www.astortheatre.ns.ca. Weekend passes for the showcase performances (The Mersey, Marlins, Lanes Privateers and The Golden Pond) are $25 in advance (including tax) or $10 per showcase day of show. Shows at the Astor Theatre are not included. Tickets for the Jazz Performance at the Astor Theatre on Friday, Nov. 9 (8 p.m.) are $15. The Songwriter’s Circle on Saturday, Nov. 10 (8 p.m.) is $30 and the Awards Show on Sunday, Nov. 11 (8:30 p.m.) is $30. Price includes tax, service charge applies. 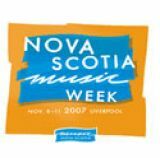 For all information about Nova Scotia Music Week Online, please connect to www.musicnovascotia.ca and follow the Music Week logo.